Air France promotion code 2019 - €50 discount on flights! Return flights from Helsinki to Denpasar Bali, Indonesia from €498! Air France promotion code 2019 – €50 discount on flights! 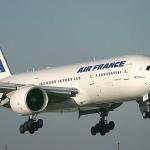 French national flag airlines Air France have released brand new discount code in 2018. In this case for a flights when booking through French offshoot of this airline. You may easily save amazing €50 just by using below mentioned promotional voucher code during booking process. Your air freight fare will be then instantly discounted and you can proceed with your booking till payment. Note that there is min. €150 value of base fare of the ticket. (Excluding taxes). This promotion is valid only if you book your flight directly at Air France website. If you consider to use service of this classic European carrier. established in 1933 and offering its service to over 170 World destinations in 93 countries you may now easily save some great money. using this currently working Air France promo code. Note that there is limit of use and only first 4,000 bookings will receive said discount..
How to apply Air France promotion code 2019.: To get €50 discount off your flight booking through Air France simply reveal below voucher code and once you proceed to “Personal information” tab use this discount code. Look for separated column “Have a discount code or a voucher?” to where you can past this promotion code. It is located right below summary of your flight. Once you enter this valid promo code you need to click on “Apply discount code” red button. Your payment will be instantly recalculated and discounted by up to €50 discount. To book your flight using this promotional code with AIr France discount code 2019 you have to choose for flights operated by Air France long haul flights. (no code share flights except flights on KLM Royal Dutch Airlines. KLM Cityhopper, Joon, Hop, Delta, Kenya Airways, China Eastern, China Southern, Transavia under Air France flight number). The value of the promotion will automatically reduce the net flight fare. This is excluding taxes and other surcharges such as additional checked luggage. The only limitation we are aware of is that you have to look for flights with base fare at least €150 so you have to look for overseas destinations only. (Flights within Europe, to destinations in Middle East and North Africa are excluded in this promotion). This Air France promotional code 2018 can be used for bookings made by 10th of January 2019 and travel dates of your flight has to be as follows. : Departures from Europe have to be till 14th of November 2019. Latest date of your return flight to apply this Air France discount code has to be then on 15th of December 2019. To book this valid Air France promotion code or in case of to read full conditions please visit Air France web site directly. Again this Air France promotional code 2019 is only valid for flights when booking through Air France FR offshoot. Bookings made directly through the airline. This voucher code works for Economy, Premium Economy as well as Business class flights. Below you may find successfully applied Air France promotion code 2019! In this case you would fly from Nice via Paris to Ho Chi Minh City, Vietnam on 4th of May. Your return flight from South East Asia back to France would be on 17th of May 2019. You would easily save €50 just be using this Air France discount code during booking process at the website of this airline.